This award is given due to client reviews by those who have worked with the attorney. Avvo ratings, although they do not evaluate a lawyer’s knowledge of the law, past performance on cases, personality, or communication skills, still speak to a lawyer’s background as seen by clients. 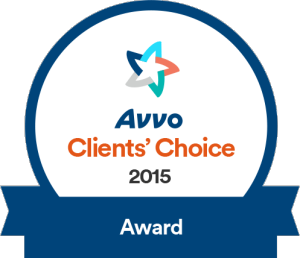 Avvo ratings cannot evaluate specific background elements; however, client reviews and peer endorsements can. It is a highly prestigious award given to those who work above and beyond to get what is best for their clients. Soheila Azizi has been practicing law for nearly two decades, starting in civil litigation and now focusing exclusively on family law. Azizi is equipped to handle all matters of family law, which includes divorce and mediation, spousal support, child custody, grandparents’ rights, prenuptial agreements, domestic partnerships, restraining orders, will contests, and more. She has more than 18 years’ worth of experience in dispute resolution and litigation for family law cases and has served as a mediator for the San Bernardino and Riverside civil and family courts. She has also personally mediated more than 1,000 family law cases. As a family law attorney, she is always prepared to handle a case with respect, compassion, and dedication – because, in the end, she realized that families change and legal needs will constantly change as well. This year, in 2015, Azizi has received the prestigious Avvo Clients’ Choice Award. Clients gave her 5 reviews of 4 stars or more, which enabled her to become a receiver. Clients said the following about her: “Amazing and professional” and “Soheila Azizi saved my life!” Clients respect and continue to receive support from Azizi, whose family law specialty drives her passion and will to want to help others. If you have a case you believe is fit for Azizi and her family law practice, you can contact the firm today.